Suzie Beauty was created by entrepreneur Suzie Wokabi, a US-trained makeup artist who runs her business in Kenya and initially found it hard to source quality makeup for her work. This motivated her to create her own makeup line. She struggled to receive financing for several years, using her home as a laboratory for her makeup collection. But now, her company is worth over $1 million. Wokabi started working on her brand in 2009. By 2011, she was ready to open for business. She worked hard to create a product line that was genuine, not just a product that was dressed up to look like it was made for dark-skinned women. Suzie Beauty had to be real, and affordable. She spent 3 years researching, developing, product testing and fundraising. Wokabi certainly had the knowledge to do it right. She trained with MAC Cosmetics and completed an intensive Media Make-up certificate course in Los Angeles at the Award Studio Make-up School. After working in fashion and beauty in New York from 2001 until 2007, she returned to her hometown of Nairobi, Kenya. All her education, patience, and perseverance paid off. Her product was a hit, in part, because it is of great quality, tailored specifically to meet the needs of women living in the African climate, and it is affordable. Suzie Beauty products are available online and in all major retail outlets in Nairobi, Mombasa, Kisumu and even in Kampala, Uganda, Addis Ababa, and Cote D’Ivoire, and soon will be available in Nigeria and South Africa. She has received many awards, interviewed by top journalists, and featured in The New York Times. She has even created a school where she shares her knowledge and skills with other aspiring local make-up artists. Wokabi is an inspiration to others, not only as a seasoned make-up artist, but as a successful Black business woman, determined to do it right. 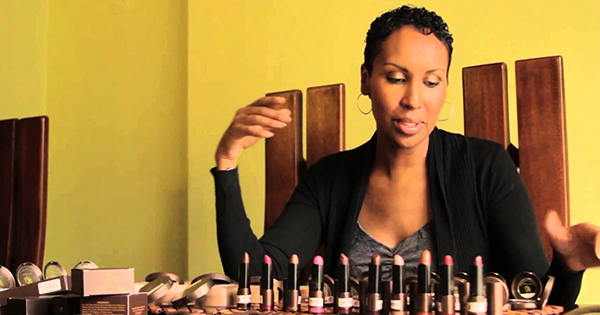 This is reflected in her company slogan, "Proud to be African, Proud to Wear Suzie Beauty." In 2016, Mauritian company Flame Tree Group signed an acquisition agreement to buy her company for an undisclosed amount, but she still is the CEO of the company.